Harley Hill Farm is 17 acres of beauty. 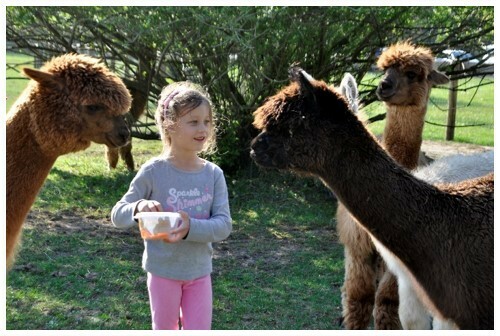 We reside here with our Alpacas in Quakertown, Pennsylvania. 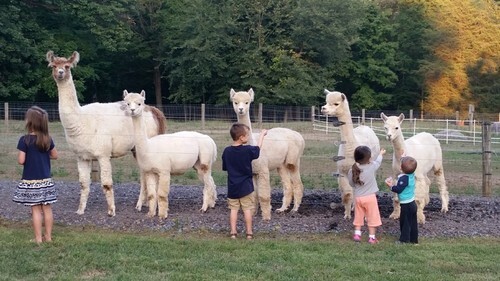 The farm is situated on a slight sloping hill, starting from the pond up to the Farmhouse, Event barn and 100 ft. alpaca barn. We are located just north of Quakertown PA, less than 2 miles from Route 309. We are easily accessible for your farm visit from any direction, being just 7 miles from both the PA turnpike, and Route 78. Both of these males have proven cria show winning offspring including multiple champion offspring! They produce cria in all colors, including True Black and Grey! We also offer for breeding LaFinca's Xander Gris from Washington state. He has a VERY impressive show record AND was 2015 MAPACA GREY RESERVE CHAMPION! We are excited about our newest herdsire, Harley Thunder's radar. His first cria are hitting the ground. We are VERY pleased with the results and have bred him back to several of our females for more Radar crias next year! 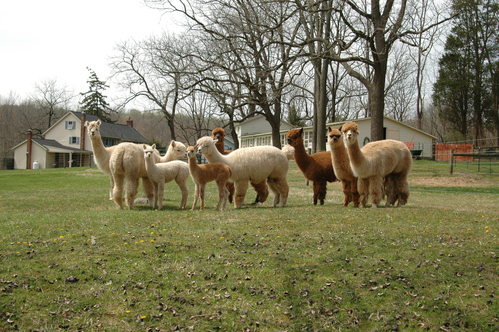 Our alpacas range in color from black to white and Grey. Stop by any time and you will find Bill & Lori sitting on the back porch, "after the farm chores are done, of course", watching our 7 new crias pronking in the pasture. This will allow any new farmers to get their Barn and fence set up while coming here to harley Hill to take advantage of our full mentoring program. 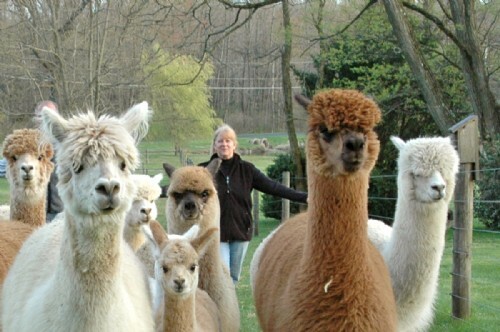 Mommy and Me Alpaca extravaganza this year is June 30th and July 1st Looking for Grey????? Be sure to check out Harley Something Special, BEAUTIFUL ROSE Gray fleece JUST bred! Time to begin thinking about your SPRING Breedings. We have Champion and Champion producing herdsires. BHA Peruvian White Thunder has champions in white, grey and black! Our MAPACA RESERVE CHAMPION Grey herdsire LaFinca's Xander Gris has has proven to throw high Quality Grey and Black offspring. We are excited about our newest herdsire, Harley Thunder's Radar! His first cria sre being born and YES, we are impressed!